Hilbre Island. Just 2 words, but they give me a little twinge of excitement each time I hear them. Today was my first opportunity to get out there this year and I grabbed it with both hands. With the weather set fair and an obliging tide I headed out early to meet John (complete with new video tripod) at the Marine Lake. As we headed out the last of the neon pink sunrise was dissapating behind us into a clear sunny morning. 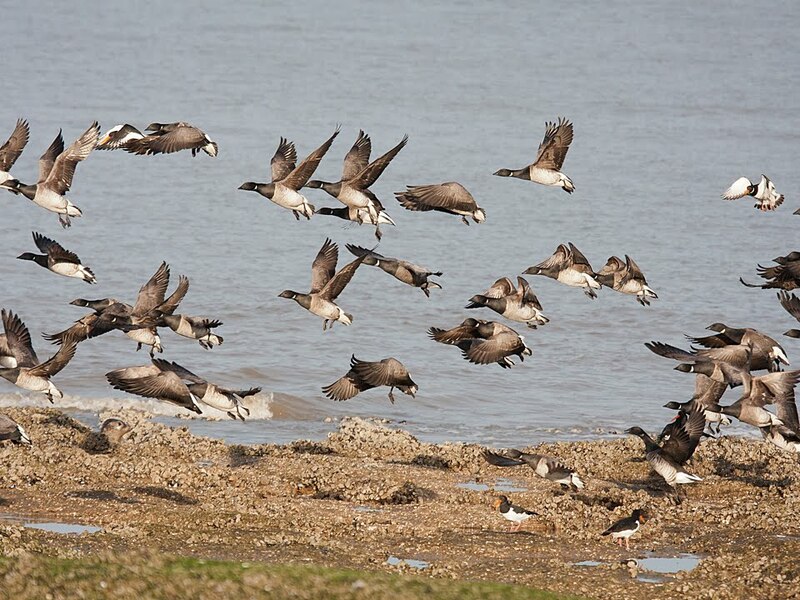 A hundred or so Brent Geese loafing around on the rocks in a very relaxed atmosphere. Brents can be quite very nervous so we go quietly down to the edge of the old life boat station building and set up there. John is keen to get some video of these geese to go with the cracking footage of several thousand Knot he filmed at Thurstaston yesterday. Kit is deployed and we settle in to watch the birds, check exposures and set settings etc. The weather is benign for a change and the birds seem to be enjoying the lack of wind and rain. They appear totally chilled out. An occasional Oystercatcher picks its way through the throng of geese looking for a snack and several Turnstone are flicking seaweed around. 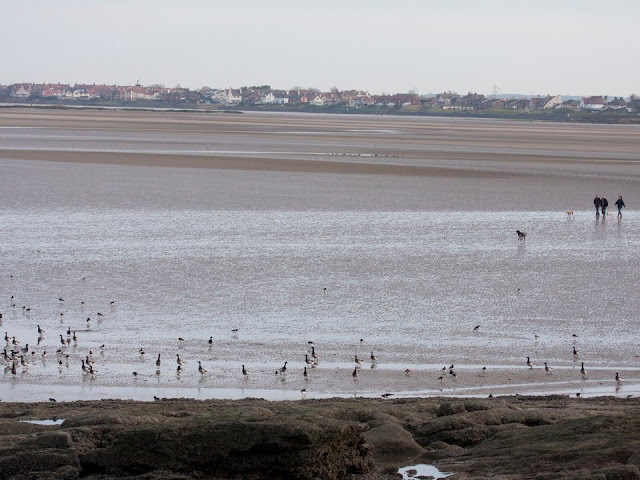 To our left a dozen Knot are feeding with a single Dunlin. Conspicuous by their absence are the Purple Sandpipers. Looking back towards West Kirby it is clear that this serenity cannot last. People, lots of people, are making thier way out to the islands - and fair enough, you have to make the most of the good weather, lets be honest its been pretty poor recently in these parts and it is good that the islands are being used for a spot of recreation. A couple of Brents are swimming in from the sand banks to our left, in no rush as befits the general pace of the morning. 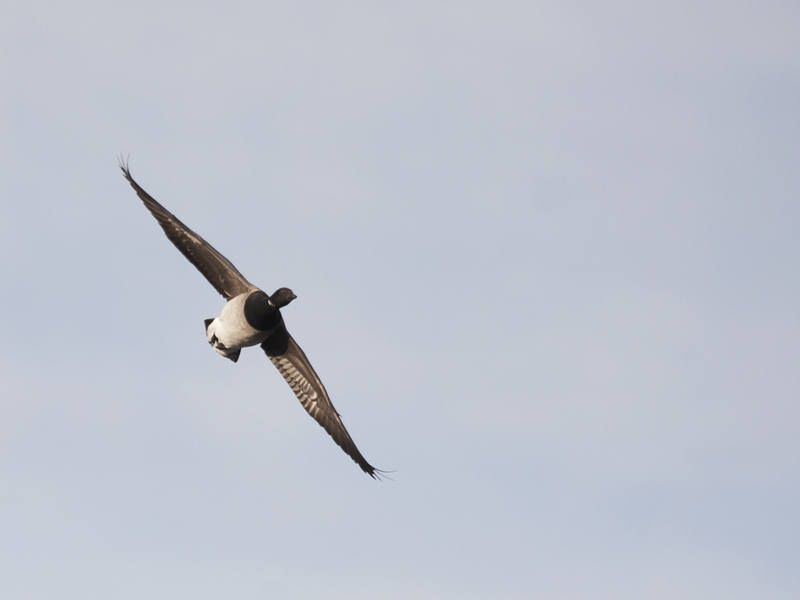 I razzle off a few pictures as they drift into the reef before hauling out and disappearing into the flock. In the sunlight these birds look stunning. 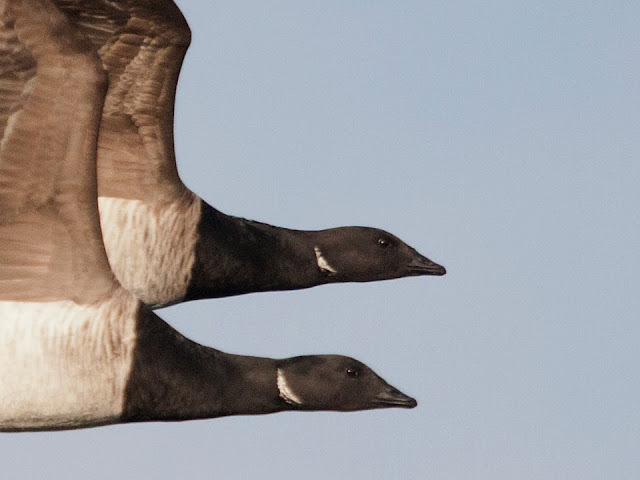 Their breast is a glossy, inky black and shining in the sun. They are not huge birds, we think of geese as being large, bulky things, but these birds are not much bigger that Shelducks, as I am thinking this a small flight of these ducks zoom past, presumably heading for the big roost at Heswall. I am not a fan of unnecessary disturbance to birds but today there is no bad behaviour, any disruption to the birds is caused by sheer weight of numbers rather than selfish ignorance. Some have come to see the birds, others just to be outdoors in pleasant weather! 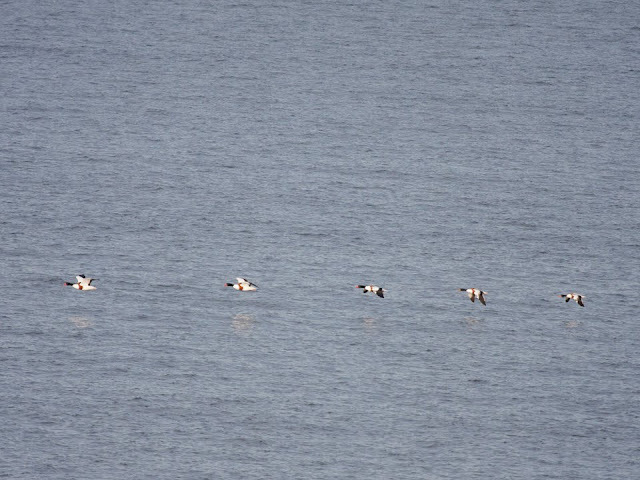 Soon the birds decide to leave the reef and form a huge loose raft on the water just off the north end. Their take off providing a good photo opportunity. I fiddle with the settings to get things right for some flight shots and John gets some panning practice. The birds put on a fine show for us swooping and jinking overhead. I snap away looking for interesting paterrns and shapes in the flock, John films the ariel manoeuvres. The island is getting fairly crowded now and, happy with our haul of images, we decide to take our leave after another great day at the office. 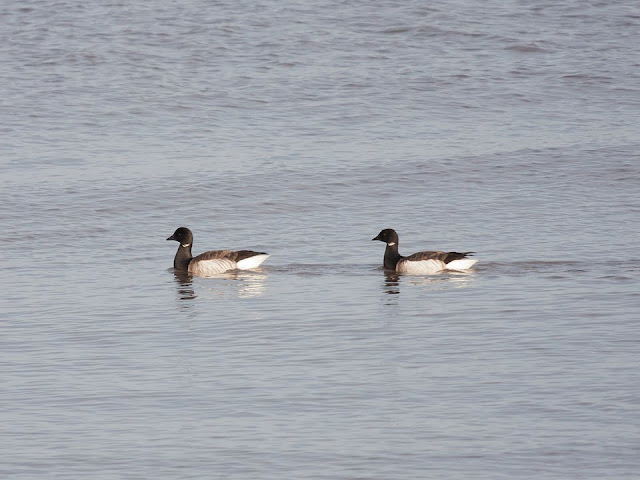 Began by being glad I'm not the only one to have fuzzy shots of brent geese in the very great distance . . . but by the time I got to the last picture - isn't it amazing!